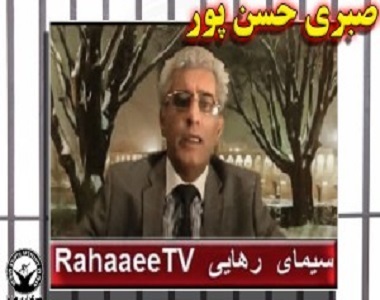 HRANA News Agency – After six months since the arrest of Sabri Hassanpour, spokesman for a political organization and host of the satellite TV channel of Rahai, he was transferred to general ward of Evin prison. According to the report of Human Rights Activists News Agency in Iran (HRANA), domestic media reported the arrest of Sabri Hassanpour, while some of close sources to Mr. Hassanpour claimed “he was abducted from Turkey during a meeting with his family and transferred to Iran”, the media said the activist went to Iran to meet his family and traveled to the cities of Tehran, Ahvaz, Shiraz, Isfahan and Karaj. After six months since the arrest of Sabri Hassanpour, he was transferred to hall 10 of ward 8 of Evin prison.